An occasional annual waif, rarely appearing spontaneously along roadsides and railroads in the southernmost part of the state. First collected in Hillsdale and Van Buren Cos. in 1958 but doubtless present earlier and appearing more frequently as a waif than the few collections would indicate. This familiar species was originally native in Mexico, and domesticated and selected for useful qualities of edibility and harvestability some 8,000 years ago. 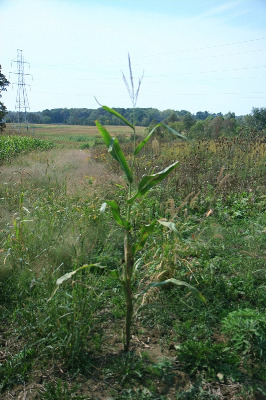 Corn is one of the most important crop plants in the world, and was cultivated in Michigan by Native Americans long before European settlement. MICHIGAN FLORA ONLINE. A. A. Reznicek, E. G. Voss, & B. S. Walters. February 2011. University of Michigan. Web. 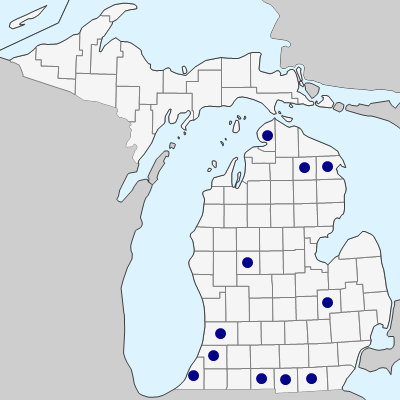 April 21, 2019. https://michiganflora.net/species.aspx?id=2248.